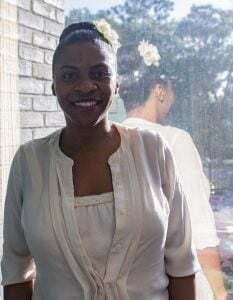 Latoya Brown has been a MomCare advisor for two years at the Coalition, offering Medicaid-eligible women assistance in selecting a Medicaid Managed Care plan, guidance in selecting a prenatal care provider and information about state programs for which they may be eligible. Latoya is most passionate and inspired when helping individuals get connected with tools and resources to enhance their quality of life which comes full circle with her position at the Coalition – enhancing the quality of life for both a mom and her baby through sharing the importance of prenatal care. Outside of work, her biggest accomplishment is serving victims of human trafficking and working with underprivileged families on missionary trips. Her favorite hobby is gardening because a flower blooming makes her smile. She describes herself in one word as FRIENDLY, and her friendliness has helped spread a positive work environment through the Coalition’s administrative office!